To understand arthritis study a good home diagnostic guide or visit with your health-care professional. When home treatment is indicated, apply the following using essential oils. For intense pain, use the Deeper or Paine externally. On a small area, apply a drop neat (undiluted) and gently spread it around. For a larger area, mix ten drops in 5 to 10 ml of mixing oil and gently massage. An exceptionally strong inflammation is like a burning fire. Even the mildest oils can sometimes be too strong and actually add to the inflammation. Create a rough suspension of the Deeper or Paine in cold water—4 to 5 drops to 1/4 cup water. Shake it well and soak a piece of gauze or flannel to create a compress. Apply cling film over it to keep the liquid in contact with the skin. Apply an ice pack to extend its cooling effect. Mix 5 to 10 drops of Deeper, Paine or both into green clay and apply as a poultice on the afflicted area. Apart from the times of crisis, apply the strong Paine blend in the morning and then turn to the soothing Deeper blend in the afternoon, evening, or before bed. Dilute 5 drops of LivN in a teaspoon of mixing oil. Apply it gently over the spleen and thymus areas and along the spine. The ingestible anti-infectious oils can play a major role in purifying the intestinal flora inside the body. Ingest at least one drop a day of Lemon, Basil, Peppermint, or Spearmint in herbal tea or water. Enjoy it preferably in the morning. To encourage greater healing circulation, massage Patches or LivN around painful joints in a larger circle than the other massage oils you use. In case of serious nerve blockages and tensions, before going to bed use 5 drops of Tranquility neat or 5 drops of Tranquility and Millenia in a half teaspoon of carrier oil as a massage for the feet. Use Millenia neat or diluted to unblock the reflex points on the feet for points corresponding to the locations of the pain. If this complete program seems too complicated or involved for you to follow, you may end up giving it all up altogether before you see any real permanent benefits. Adapt your program to what you feel you can do consistently. Add other elements of the program as you feel you can consistently accomplish them. Follow first aid instructions and cautions in a good home-care guide or consult a medical professional for advice. If home care is indicated, follow these procedures. You can immediately help control pain by using either Peppermint or the Paine blend. If the area is small and not on an area of sensitive skin, simply put a little oil on your little finger and dab the area. You can use the pipette and drop a few drops directly on a slightly larger area then spread it gently with your little finger. For a larger area, dilute the oil, 4 to 5 drops in a teaspoon of mixing oil, and spread it on the area. Before applying ice, mix 4 to 5 drops of Peppermint or the Paine blend in a 1/3 cup of water and shake. Soak a gauze or small flannel cloth in it and apply it to the painful area. Secure it with a cling bandage. Then apply an ice pack. After 24 hours when and if it becomes appropriate to apply heat to the injured area to aid healing, use the Deeper blend or the Paine blend. The Deeper blend has a deep action that minimizes inflammation, but is somewhat less effective at controlling pain. Create a gauze or flannel compress (see above), and apply a heat pack. To speed healing, massage with 4 to 5 drops of the Patches or LivN blend in a teaspoon of mixing oil around the area of injury. All of the symptoms below are important signals your body is sending you that you may need to significantly improve your exercise program, reduce the build up of toxins throughout your body, add important whole-food nutrients, and unblock certain areas of your body through essential oil massage. Begin by making adjustments to your dietary habits. Conditions often recur if dietary adjustments are not made. Pay special attention to reducing the amount of toxins coming from an overabundance of meat or dairy protein. If an autoimmune disease is likely, adjust your diet away from excessive proteins and the most likely allergens—dairy, eggs, meat, wheat, and things that encourage build-up of toxins like refined sugars and soft drinks. You may need more water (1/2 gallon a day), and exercise (2 mile walk per day). Following the approval of a competent health care professional, set up a graduated exercise program involving aerobic, weight bearing, and flexibility training. Examine your emotional life and reduce toxic build-up of unresolved conflicts, resentments, criticism, etc. Calming therapies and massage will help significantly, but problems will recur if emotional problems are not controlled and resolved. Incorporate daily stress-reducing activities such as meditation while diffusing lemon, fir, and the Tranquility blend. Yoga exercises combine relaxation, body awareness, and exercise. Incorporate morning or pre-exercise warm-up massages using the Deeper blend. Dilute 5 ot 6 drops in a tablespoon of mixing oil and massage the joints and key muscle groups you will be using. Use daily relaxing massages on the feet, hands, abdomen, ears, or joints with 3 to 4 drops of lavender, geranium, lemon, the Tranquility blend, the Moonlight blend, or the Baby Me blend diluted in a tablespoon of vegetable mixing oil. Eliminate any unsafe addictions such as smoking, drugs, or alcoholism. Toxic build-up in the joints, bones, back, muscles is often responsible for problems of this nature. Ingest capsules of anti-infectious oils such as Tea Tree, Basil, Peppermint, or Eucalyptus Radiata to disinfect, cleanse, restore healthy intestinal flora, and release toxins. If arthritis is ruled out, consult an authoritative self-help book or health care professional for evaluation of what are usually less serious conditions. If there is both inflammation and pain use either the Paine blend or the Deeper (anti-inflammatory) blend. If the area is small, apply the oil undiluted (neat). If the area is larger, blend 4 to 5 drops in a teaspoon of mixing oil. 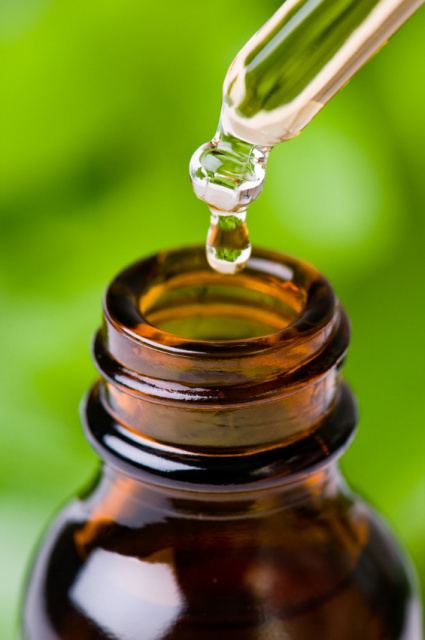 For spasms, massage in 4 to 5 drops of the Tranquility blend diluted in a teaspoon of the mixing oil. Then follow a few minutes later with a similar diluted mixture of the Deeper blend to warm the muscles and tendons. Gently stretch and move the muscles and joints as long as they remain pain free. Rotate massages between these two blends to alternatively calm and energise the area with increasing activity and range of movement. Use the Millenia blend with the Deeper blend (a.m.) or the Tranquility blend (p.m.) to release energy blockage throughout the body. Focus on areas on the feet corresponding to the problem in the body. For example, massage the side of the foot next to the little toe for shoulder problems. Use the LivN or Patches blend in dilution (4 to 5 drops per teaspoon of mixing oil) around affected areas to accelerate healing. Follow instructions for upper body, but for rebuilding lower body joints, exercise on a slant board with feet elevated. Use Idaho Balsam Fir, the LivN blend, the Patches blend, and/or the Deeper blend to warm up the joints before exercise of these joints. Neck pain can be caused by a number of things—muscle tension, structural alignment, poor circulation, nerve damage, bone pain, or tendon or cartilage inflammation. Experiment on the neck of the big toe with various blends and single oils to see which reduces the discomfort most effectively. For muscle tension, try using the Tranquility blend. For structural alignment, use the emergency (pain) blend and/or the Deeper (anti-inflammatory) blend. Also try the Millenia blend. For poor circulation, use the LivN or Patches blends. For nerve damage, try Helichrysum or Geranium. For bone pain, try Idaho Balsam Fir or Peppermint. For tendon or cartilage inflammation, try the Deeper blend. When you have determined the oil(s) that are most effective, use it (them) neat on location. Start massaging at the orbital bone and move down and out onto the shoulders. You could also dilute 4 to 5 drops of essential oil in a teaspoon of mixing oil. Lower back pain, like neck pain can be caused by a number of things—muscle tension, structural alignment, poor circulation, nerve damage, bone pain, or tendon or cartilage inflammation. Experiment on the inside arch of the foot with various blends and single oils to see which reduces the discomfort most effectively. For muscle tension, use the Tranquility blend, a cool therapy. For structural alignment, use the Paine blend and/or the Deeper blend. Also add the Millenia blend. This is a warm therapy. You can rotate between warm and cool therapies. For bone pain, try Idaho Balsam Fir or Peppermint. (cool) Rotate warm and cool therapies. For tendon or cartilage inflammation, try the Deeper blend (cool). Rotate between warm and cool therapies. When you have determined the oil(s) that are most effective, use it (them) neat two or three drops on each side of the spine. Then use the nail side of your finger tips to feather out the oils onto the back. You could also dilute the oil, 4 to 5 drops in a teaspoon of mixing oil, and massage both sides of the spine. Apply damp towel compresses after the oil has absorbed a bit. For muscle tension, bone pain, or tendon or cartilage inflammation, apply a cool compress at first then rotate between cool and warm compresses. Apply a warm compress for the others. Apply stretching and strengthening exercises according to instructions given by your health care professional or in your home health-care reference. Dilute 4 to 5 drops of the Paine blend in a teaspoon of mixing oil and massage. Add more calcium to your diet through the foods you eat—green, leafy vegetables and low-fat dairy products. Avoid acid forming foods such as sugary foods, refined flours, and soft drinks. Dilute 4 to 5 drops of Geranium or the LivN, Patches, or Deeper (anti-inflammatory) blend in mixing oil and gently massage upward toward the heart.